NASCAR goes home to Charlotte for two weeks of race festivities. 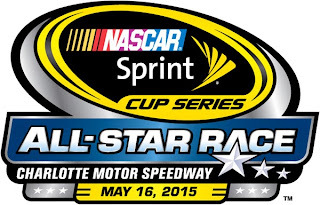 First up, the Sprint Showdown and All-Star Race dominate this weekend at Charlotte Motor Speedway, leading up to the sport's longest race, the Coca-Cola 600, on May 24. The Camping World Truck Series takes to the track at Charlotte after the Sprint Showdown on Friday. The XFINITY Series converges on Iowa Speedway on Sunday. The following is a handy guide to track activities and TV coverage at Charlotte and Iowa. All times are in Eastern Standard Time.